This month’s research diary comprises a reflective piece based on my first experience of an international academic conference – the International Studies Association’s Annual Convention, which took place at the Hilton Hotel, San Francisco, in the first week of April. Conferences are a core element of academic work. They are a chance to publicly share, and open up for criticism, recent work, and to (re)connect with colleagues from around the world. Comprised mostly of ‘panels’ of four or five scholars sharing work that sits within a particular theme or topic, conferences are an opportunity to be exposed to upwards of fifty or so individual pieces of work over a four day period. ISA is big. The programme (itself over 300 pages long) offers the 5,700 participants approximately 70 options to attend for each session. Yet, the curious feature of large conferences such as this, is that given the amount of choice, and the fact that attendees rarely attend all four sessions in a day, often sessions will have no more than three or four individuals in the audience who are not on the panel itself. One can find oneself presenting work on an international stage, yet in reality, to a sea of empty chairs. As someone who spends my regular researching life within a small peace and conflict studies department, one immensely positive feature of ISA is the ability to explore a wide range of perspectives. Within the same conference, one can hear papers delivered on topics such as: nonviolent resistance, post-structural approaches to the ‘subject’ in society, improving the effectiveness of drone strikes, or methods of ‘leadership decapitation’ to defeat ISIS. ISA represents the entirety of the political spectrum of academia, all under one roof. ISA is also a microcosm of society. As such, it is fascinating to note that it is not immune from the troubles that society faces more broadly. It is a space in which inequality and discrimination persist. It is a space in which those on the lowest rungs of the academic ladder, who therefore earn the least, are also those who have invested the most of their personal income to attend the conference. It is a space, for early career scholars especially, where access to funds, institutional or personal, and not merely ability or hard work, are parameters of success. Yet, this internal inequality paled in significance in contrast to the inequality between the conference within the walls of the Hilton hotel, and life on the streets immediately outside. Situated in downtown San Francisco, leaving the confines of the hotel brought one face-to-face with the realities of a city reeling from the effects of a broken global capitalist system. 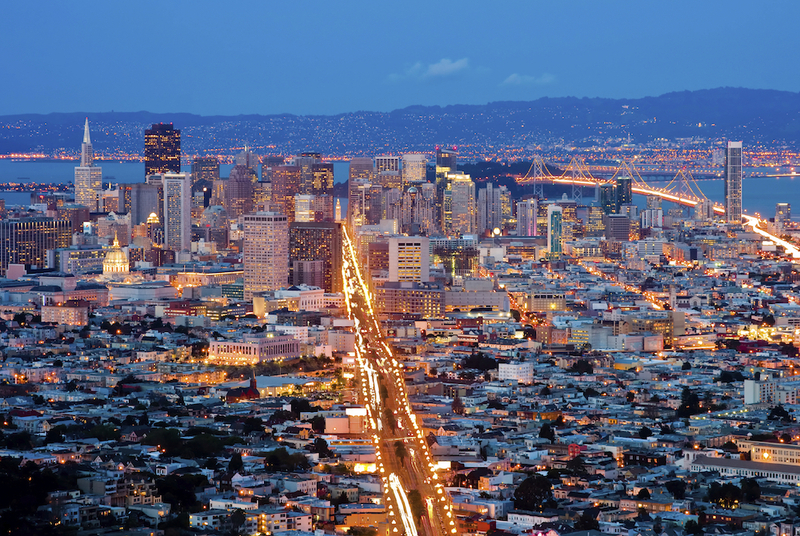 San Francisco faces an enormous problem of homelessness and addiction. Partly a problem of California’s warm weather and it’s progressive approach to social problems, San Francisco attracts the destitute and homeless. The streets around the conference hotel were full of individuals living immensely difficult lives, caught up in the US opioid crisis, addicted to drink and drugs, struggling to find a stable way of life. It felt immensely contradictory that we should be discussing the vital issues of international politics on one hand, while utterly complicit in a global system of inequality on the other. ISA is not just an unequal place, but a discriminatory one too. It is a space in which both sexism and racism continue to operate. For example, attending one panel on the theme of women and terrorism, I was amazed to see an all-women panel on a vital topic be chaired by an evidently sexist man. Repeatedly referring to the panelists, politely but distinctly patronisingly, as “ladies”, the chair took an extraordinary opportunity during a break in proceedings to offer a comment. He had evidently misheard one of the speakers who was referring to how female ex-combatants in Colombia often express the desire to become nurses or beauticians as an example of how their attitudes to post-conflict society can be shaped by the societal expectations of demobilisation programmes. The chair interjected that he thought that their evident nurturing desire to make women beautiful was “sweet”. Looks of confusion and disbelief were shared around the room. Later on, via Twitter, one conference-goer shared a particularly harrowing day. She expressed how that day at the conference, on no fewer than four separate occasions, she had been mistaken by other conference participants as a member of hotel staff. That people of colour will have experienced ISA very differently to the overwhelming white majority is, of course, not surprising. It is however important to note that, for those of us within the cohort of ISA participants committed to social progress and justice, the work to be done within the community of IR academia is just as profound as work within wider society. Today’s low moment in #ISA2018 history: Being confused for a Hilton service staffer four different times by fellow conference participants. To conclude, I won’t clear that tray and I’m not bringing out more food. ISA is then a microcosm of society, albeit one in which we all had something in common, an academic life. One last experience is of value sharing. During one lunch break, a group of us were encouraged to engage in a symbolic act of solidarity for those UK academic staff currently engaged in industrial action in order to protect their pensions. We stood in the (very crowded) lobby, and held signs aloft, sharing messages of support. The security response of the hotel was astounding. Whereas beforehand – and indeed afterward – the lobby was crowded full of groups of people standing anywhere and everywhere causing no problem for security, suddenly the staff became very concerned that passages were left free for people to move around the hotel. We were repeatedly asked to stay in a small and confined space. In the mere act of holding a sign, we had become an obstacle and a risk. This securitised approach to political expression – even within an innocuous space such as a hotel lobby – emerged from nowhere. Needless to say that as soon as the protest were over, the risks posed by static groups of people seemed to diminish. ISA then was a valuable experience. It was great for keeping up-to-date with current research, and a fantastic opportunity to connect with a wider academic community. It was also a great moment to reflect on our complicity within an academic community, and wider society, that is full of injustice and imbalance. A great deal of work is left to be done.